Google AdWords Tests Capitalizing Letters In Display URL? Home > Google News > Google AdWords > Google AdWords Tests Capitalizing First Letter In Display URL? 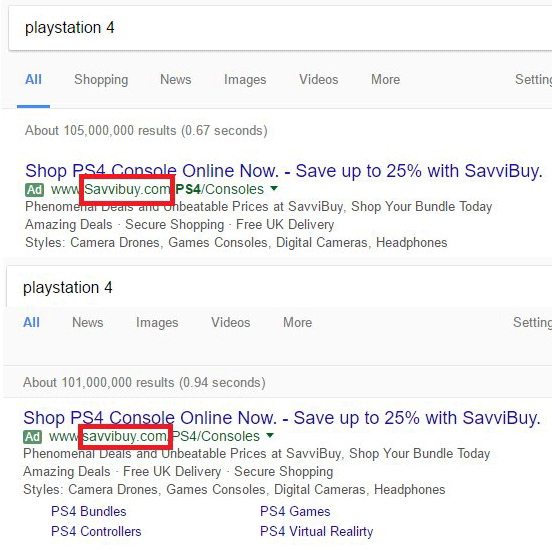 Google AdWords Tests Capitalizing First Letter In Display URL? Gordon Campbell posted images on Twitter of Google testing making the first letter of the display URL in the AdWords ad results capital. He said that in the AdWords backend, ad management area, the display URL is completely lowercase. In fact, he saw this across many different ad units and clients. He said it did go back to normal eventually. I wonder if this is more of a bug fix than a Google test to see if capitalizing the display URL would matter or not. Personally, I hate looking at capital letters in URLs or email addresses.